Client: The Minnesota NGA Policy Academy team, including Minnesota’s Department of Employment and Economic Development (DEED), Department of Commerce, Department of Agriculture, and Environmental Quality Board. 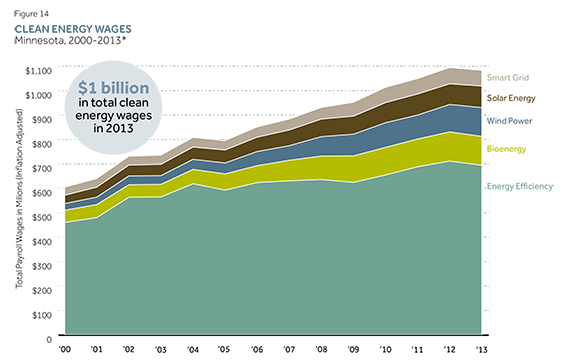 Minnesota’s Clean Energy Economy Profile represents the state’s most comprehensive effort to quantify the direct employment and wages of clean energy businesses. 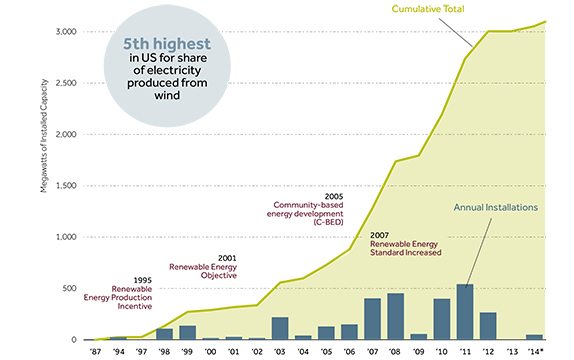 This research analyzes five sectors (wind power, solar energy, bioenergy, energy efficiency and smart grid) and their value chains from the period 2000 to 2014. COECON built on its approach for identifying and tracking the growth of businesses in the clean energy economy. The accounting of business establishments and jobs is based on multiple sources for the identification and classification of green businesses and also leveraged a sophisticated internet search platform, the parameters of which were designed by COECON. We worked directly with the state of Minnesota to expand the analysis to include wages in these businesses. 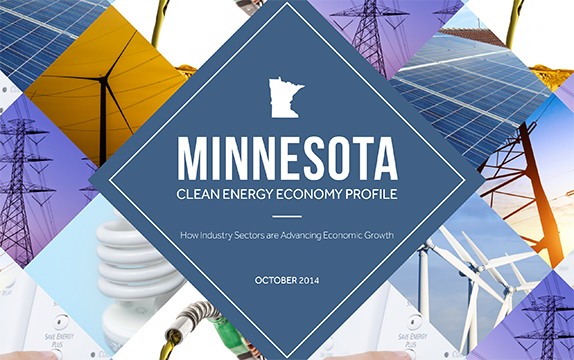 In addition to the full report, COECON designed twelve companion infographic datasheets focused on the sectors and regions of the Minnesota Clean Energy Economy.